It seems like it has been forever since the last blog entry and, in a sense, it has been a while since our last race. Our last road race was on Thanksgiving and our last Arkansas Grand Prix race was all the way back in October, so needless to say, it is great being able to get the "running season" going again! The 2016 Grand Prix season will be a little different for us than last year. For starters, Braden will run even more races in the Grand Prix than before. Our first race last year was the Little Rock Marathon 10K and we joined the Grand Prix shortly thereafter with the Chase Race 2 Miler in March. This year we'll be able to run in the three races that he missed out on last January and February. The next thing for us is that his papa Bernie signed up for the Grand Prix this year in the 70-74 age bracket. Bernie actually ran in a few of the Grand Prix races last year but was not an official participant for the standings, so this year he joined the Conway Running Club and is good to go for the Grand Prix. I'm so glad Braden will have someone to get him to the races this year since I will be gone for a year beginning in the summer. I'm signed up for the Grand Prix as well, but will only be able to run 6-7 races with him this year. Braden ended 2015 on a hot streak of PR breaking races where his times dramatically came down and it became increasingly harder to keep up with him. It has been a struggle lately to get going again, especially with our longer distances because of the long layoff between races. He loves the competition, and when he's not racing his training tends to suffer. Mileage-wise, the first two races of the year are the longest Braden will have to run this year and the first race on the docket was the One Hour Track Run located in Pottsville. This unique race was not only the first race of the year, but it was a championship Grand Prix event as well. 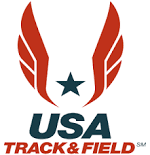 The concept of the race is to run on a standard high school track for one hour for as many laps as possible and when the one hour mark hits, you stop and then the officials measure where you are on the track from the starting mats for the extra footage. The laps and extra footage are converted back into mileage and the individual award placements are based on the distance ran instead of the time it takes to run a certain distance. The race is divided into two heats, those who run greather than an 8:20 per mile pace and those who run below it. I signed us up for the 8:20 and below pace based on how he had been running at the end of last year, even though in his recent training he had been running at a slower pace. For late January, the weather was not too bad at all! It snowed a lot at our home a couple of days before the race, but it didn't take long for the temperatures to start warming up again and the weather on the day of the race was around 50 degrees with 7-10 mph winds. The race was on a Sunday, so we went to the early service at church, changed into our running gear and headed to Pottsville after stopping at Subway for lunch. Once we got to Pottsville High School, it was nice to see some familiar faces from last year with the CRC and Grand Prix competitors, but me and Braden would have to wait a while before our heat. Bernie signed up for the first heat and started his race at 1:30. There were a lot more people on the track for the first heat (137 runners) and I guess if there was an advantage for us, it meant that there would be less people on the track for our heat. Braden would also have the added advantage of knowing how many laps he would need to run to win because everyone in his age group was running in the first heat. We watched the first group for about 15 minutes and then headed indoors to keep warm before the start of our race, which would begin at 3:15. I could definitely tell it was harder for the first group to maneuver around the track especially for those trying to pass others who were walking in the first lane. After the first group finished, we looked at the standings and noticed that Braden had to run at least 24 laps (6 miles) to finish in first. Bernie had a very good run himself finishing with 27 1/2 laps and was in first place in his age group before our heat (he would eventually finish in second). There were 74 runners in our group, and we knew track congestion wouldn't be nearly as much of an issue as the first heat. We started out pretty quick with our first 5 laps at a 7:49 pace. I didn't quite know how to perceive our start. The first thing I thought about was that we were going at too quick of a pace to sustain for a whole hour, especially since his recent training hasn't warranted the type of pace we were running. My second thought was that he was going to prove me wrong once again by going out and performing beyond expectations, because he runs better when it's a race. Three laps later, he had slowed up a little but he was still running well. We were churning out around 2 minutes per lap until we got to lap 9. Braden had his first "breakdown" and had to start walking. We both weren't happy because it was something I we were used to in his recent training runs where he would run well, then 2-3 miles in he would have to start walking. He was basically out of running shape and it caught up with him. I stayed with him trying to get him to at least walk fast and get him going again. He picked things back up again and was getting around the track in 2 minutes 5 seconds per lap until lap 17. He took a longer than normal water break, went another lap at 18 and broke down again. We had an agreement on our training runs that if he kept on breaking down to walk, I wasn't going to stay with him and have my race time suffer, unless he was injured or sick. I pulled ahead of him as he ran another slow lap. At that point I was looking for him on the track and apparently on lap 21 he had another breakdown where he pulled off to the side. Braden gathered himself back and ran 6 more laps at around 2 minutes 12 seconds per lap. I "caught" up to him at lap 25 to finish up the race with him, but essentially I ran further since I lapped him. At the one hour mark we stopped together on the track and Braden was definitely whooped! He didn't even have enough in the tank for his usual strong finishing kick that he normally has. He said the cold wind affected his breathing and he had a tough time because of it, which may be a little true, but I think training had more to do with it. Several people walked up to him congratulating him and telling what a great race he ran, especially after stopping a couple times. Braden was gracious, but I could tell he wasn't nearly as enthusiastic as normal when someone gives him props. I will say overall it was a different type of race that was definitely spectator friendly, even though you didn't know who exactly was ahead. It did get monotonous especially around the halfway mark. Keeping track of the laps ran and knowing there is still a certain amount of time to go can get to your head a little. Officially, Braden ran 27 full laps (6.696 miles) and an additional 787 feet for a total distance of 6.860 miles and I ran 28 full laps (6.944 miles) and an additional 787 feet for a total distance of 7.108 miles. Below are his lap splits without the extra footage at the end. 1. He finished in first place amongst five other boys in his age group; winning by 3 1/2 laps. 2. He picked up the maximum of 30 points for the Grand Prix and is in first place in the standings. 3. It was actually his second fastest run, as far as pace goes, in a 10K distance or greater. He finished with an age graded percentage of 69.65% - just short of our 70% goal, but well below the percentages he had in November. 4. He was able to kick off the "rust" and get back into racing mode again. 1. He could've done better. He lost, by my account, about 3 minutes and maybe 1 1/2 laps on the course; especially at lap 9 and 21 where his lap times were 3 minutes and 3 minutes 8 seconds respectively. 2. I not only beat Braden by 1/4 mile, but for the first time in 1 1/2 years, his papa Bernie beat him, winning by 133 feet. Bernie ran a great race and is running really well for his age, but Braden was definitely humbled by getting beat by his grandfather. I told Braden that his papa runs every day and right now, Bernie and I are in better shape to run longer distances. Braden said if he had finished at the same distance as me, he would have been a lot happier with his result. In a weird way he had a decent race in which he could've done better, but he could've done worse as well. It was just one of those types of races. The only times he's had to walk in races is because he was actually sick or because he hadn't adequately prepared. I think more than anything it was a little of a wake-up call to him that he needs to step up the training and the performances he's accustomed to will come. I have no doubt, in short order, he'll get his mojo back. Our next race is the River Trail 15K in Little Rock on February 6. The 9.3 mile race will be the longest of the year for Braden and we have a lot of work to do in a short period of time to get him ready for the distance. I'm hopeful that getting back into the swing of things again and way the One Hour Track Run unfolded will give him extra motivation to get back to the way he was running at the end of 2015. We are really excited about not only being able to run the 15K distance, but afterwards we will be heading to the Arkansas Grand Prix Awards Ceremony at St. Vincent Medical Center to celebrate Braden receiving his award for winning his age group during the 2015 season. This proud father cannot wait to see my running buddy get recognized for his accomplishments! Where is the 1st place medal? They won't be available for a few more weeks!